Saving client information in a spreadsheet is so 2010. DoggieDashboard's online client address book helps you keep all your customer information in one place. 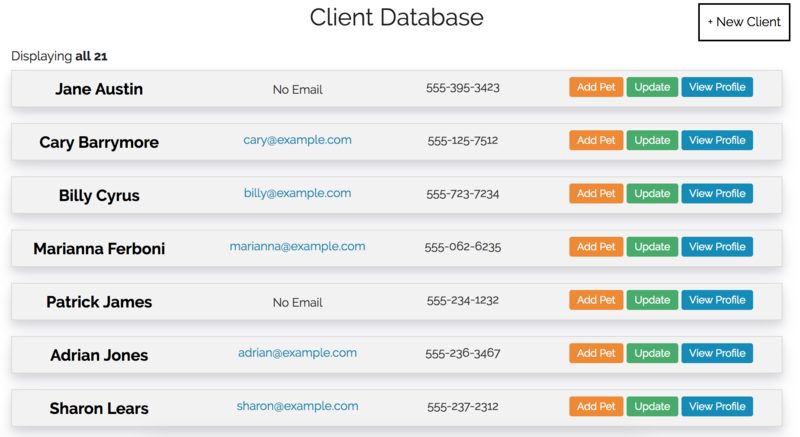 DoggieDashboard automatically updates your client list every time you add a new customer to your database, so you're always working with up-to-date information. If you want to see your customer's complete profile that contains all their information (pets, finances, passes, etc), just click on their name and you'll be taken to their customer profile.